If you’re a fan of the hit show “Fixer Upper”, you know Joanna Gaines. 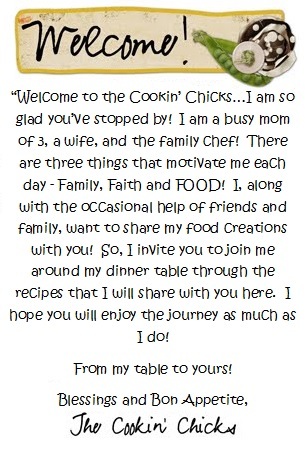 Not only is she extremely talented at that show, but she can also add having a hit cookbook to her talents! 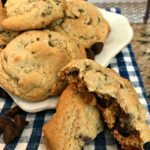 This chocolate chip cookie recipe goes down as my new favorite recipe and one you don’t want to pass up! For Mother’s Day this year, my mom bought me a cute wine glass and the newly released Joanna Gaines cookbook. When I opened the bag from her and saw the cookbook, I immediately began flipping through all the amazing recipes! This cookie recipe however, jumped out at me!! Not only did the cookies look extremely plump (unlike typically flat cookies), but when I read she cut the butter in half, I was intrigued! I put the cookbook on my counter to go through as I meal planned and truth be told, a few days passed and unfortunately, I didn’t have a chance to add some recipes in. Luckily for me, my mom had bought herself the cookbook and she called me up a few afternoons ago saying she had just made a batch! Since she lives only about one mile from me, she popped over with a bag of these tasty treats and let me test them out for myself. She and I (as well as my kids and hubby), both agreed, BEST. COOKIES. EVER! These had just the right amount of sweetness to them, were soft, but not crumbly and fall apart, packed with chocolate chips, and quite pretty. Yes, I described a cookie as pretty because lets face it, no one likes a flat, limp, cookie, right?! 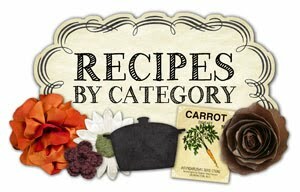 I have added a few recipes to my meal plan in the next few weeks and will have to keep you posted on how each turn out! In the meantime, I highly recommend ordering the cookbook for yourself because she has great stories, tips, techniques, and of course, recipes! 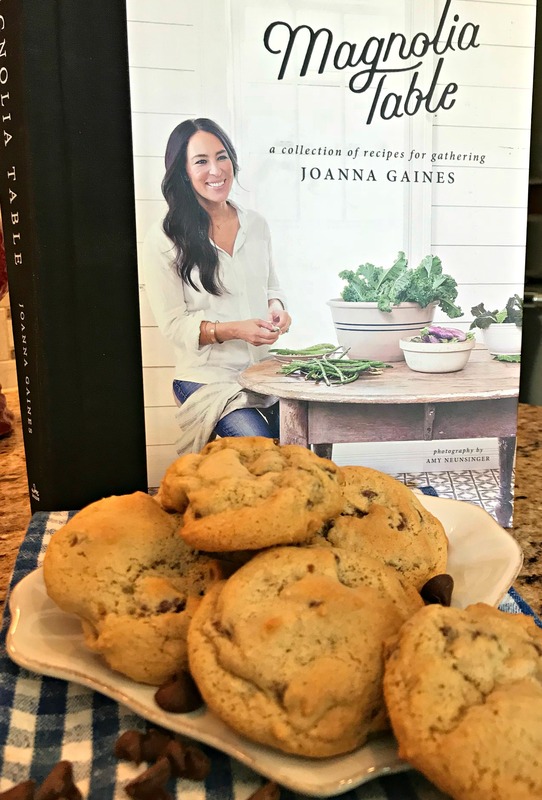 I am sad to see “Fixer Upper” ending, but this cookbook proves, she’s full of many talents! 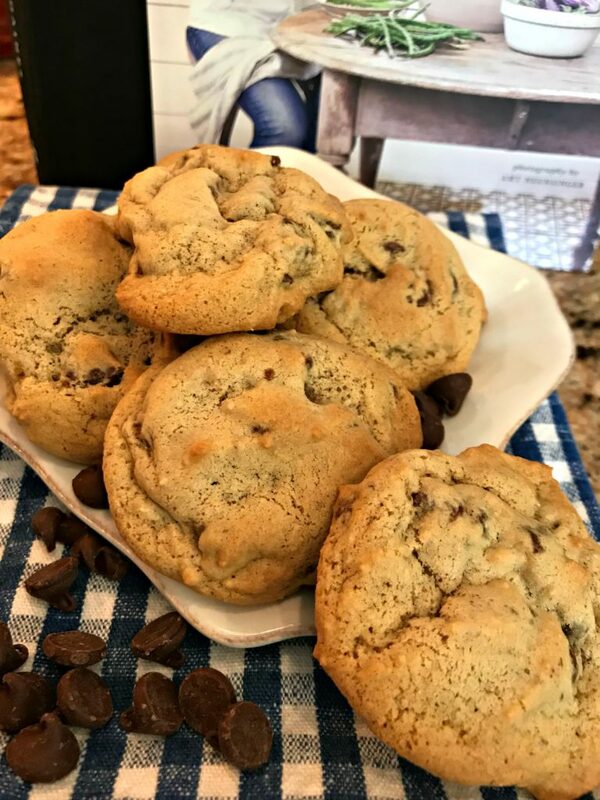 "Fixer Upper" star Joanna Gaines knocked it out of the park with these chocolate chip cookies! 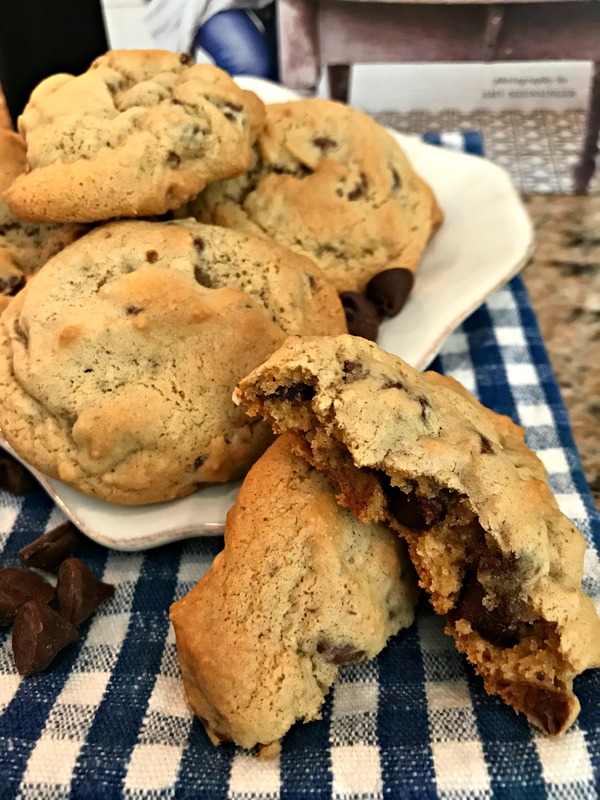 Soft, puffy, and packed with chocolate chips, these cookies may be your new favorite too! In a medium bowl, combine the flour, baking soda, and salt together. Set aside. In a separate bowl, cream together the butter and brown sugar until fluffy. Pour in the vanilla and stir until combined. Slowly pour flour mixture into butter mixture and stir until combined. Drop dough by large spoonfuls onto prepared cookie sheet. Place in oven and bake until lightly browned, 10-11 minutes. Continue process until all dough has been used. Enjoy! If you are using non stick baking sheets, you are good to go!! Otherwise, perhaps parchment paper! Enjoy! Hi there! I was wondering if you used a fresh box of baking soda when making these cookies? I’ve made these a few times already and they have turned out flat and am trying to figure out what’s going wrong 🙁 I want them to look more fluffy like yours! Yep, I buy a new box monthly. What kind of butter are you using? Bummer that they are turning out flat! Thanks for responding, Kristin! I’ll try using a fresh box of baking soda to see if that makes a difference 🙂 I’m using Walmart brand unsalted butter. Hope your next batch turns out fluffy! Fingers crossed!! Enjoy! I used a new box of baking soda and fresh stuff and they were super flat too. No baking powder? Or what could have happened. Hmmm, that is so odd! What kind of butter did you use? Did you melt it to soften?